The Yorkshire Dales have long been a favorite area for walkers and day trippers from local towns such as Leeds, Manchester and Sheffield. 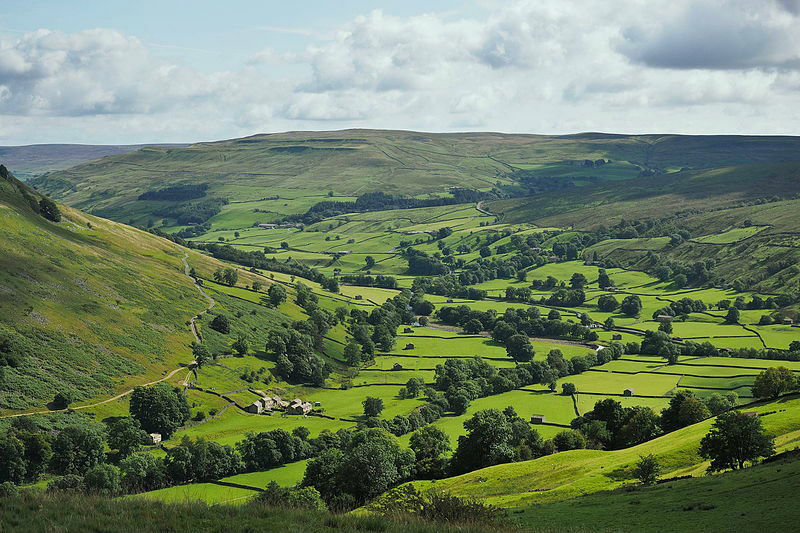 A ‘Dale’ is the local word for a valley; the ‘Dales’ are therefore a series of valleys carrying the local rivers (the Swale, Nidd, Wharfe and Ure, being the largest). It should be no surprise that these areas are called Swaledale, Nidderdale, Wharfedale and (just to make it confusing) Wensleydale. Upper Wharfedale – the upstream end of the River Wharfe – is the classic Dales landscape. A V-shaped valley with pretty villages nestling at the bottom and ancient stone barns dotted around the surrounding fields. 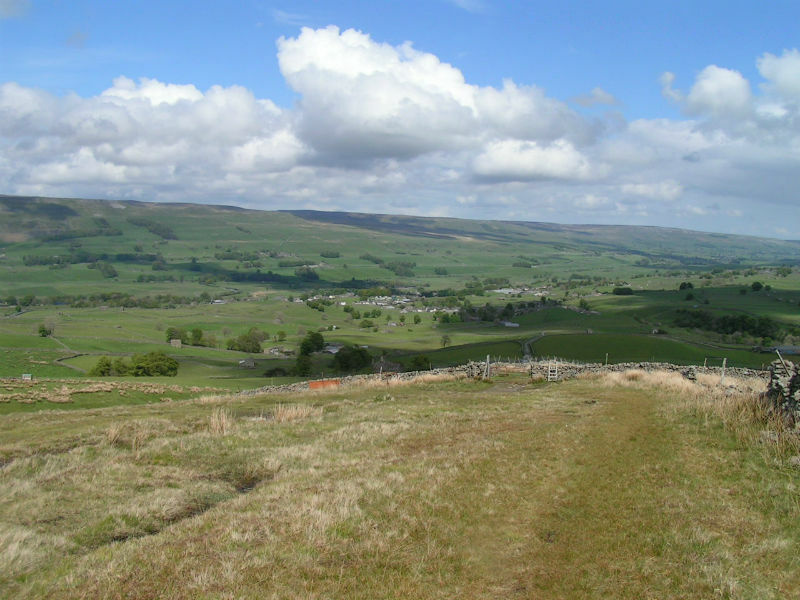 Check out the villages of Kettlewell, Buckden and Starbotton. 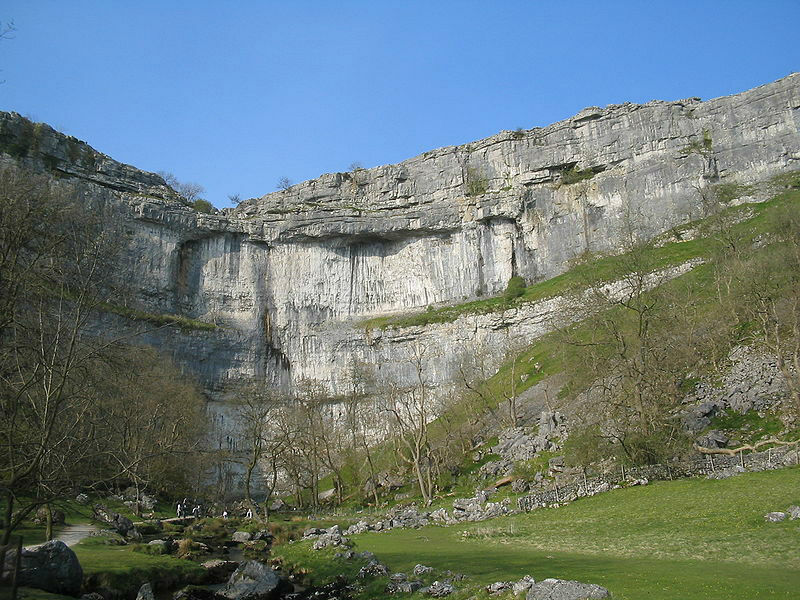 Formed by water action on limestone – a soft soluble stone – this is a spectacular place. Situated in the picturesque Malhamdale, it’s a very pleasant walk up from Malham village (former home of the author Bill Bryson). Check out one of the world’s best examples of limestone ‘paving’ – a geographical feature also caused by water – above the cove. This part of the world that is wet, with many rivers, and hilly and so it is not a surprise that there are several excellent waterfalls. 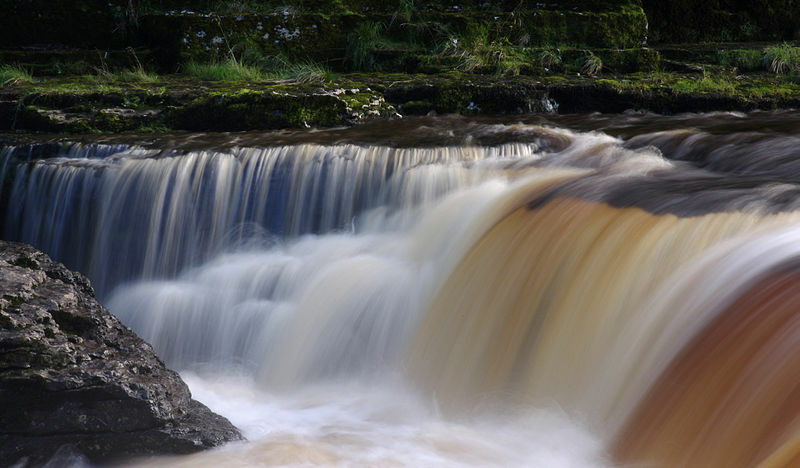 Our pick for the best is Aysgarth Falls on the River Ure. A spectacular sight during wet weather, it is a pleasant place to sit listening to the water during dryer times. 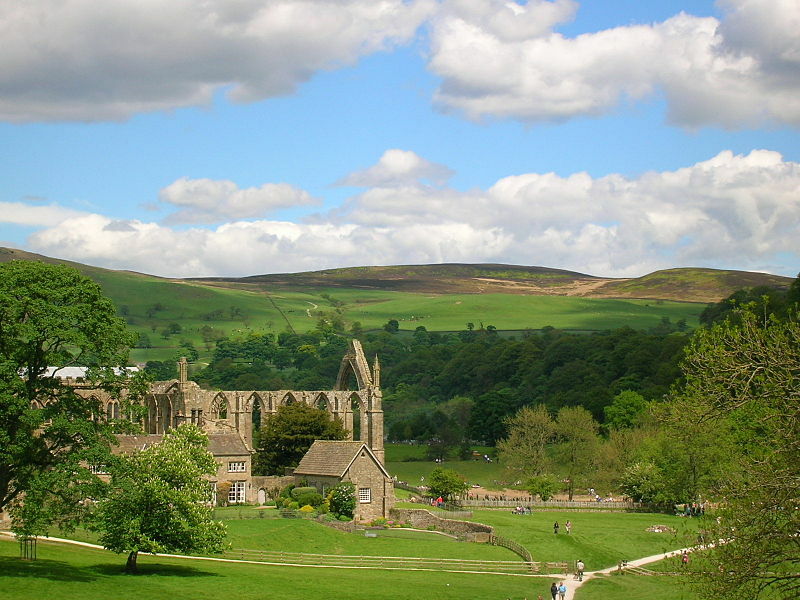 Bolton Abbey is one of the hundreds of monetries dissolved during the reign of Henry VIII. Nevertheless what was once surely an imposing site on the banks of the River Wharfe, is still a grand view froma distance. Unlike many of the ruined monasteries it is still a working church – a much smaller chapel based in the non-ruined wing of the building. 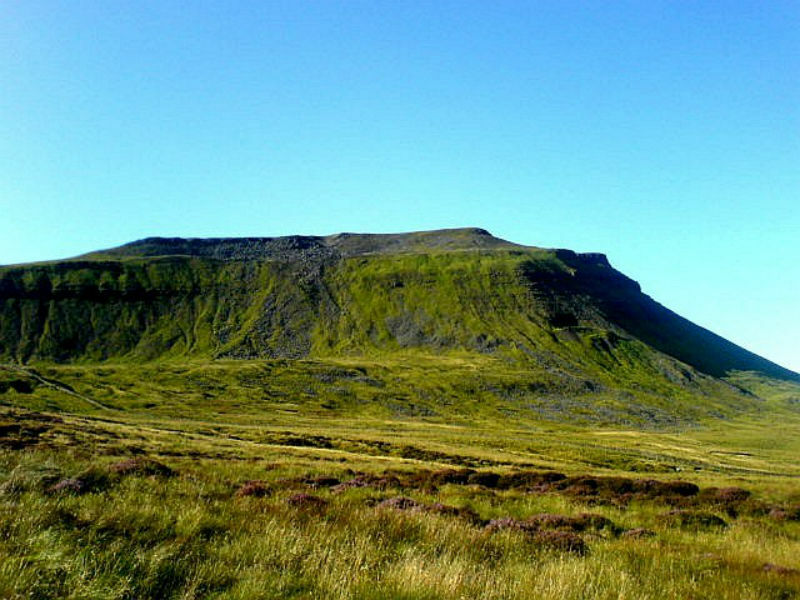 The ‘three peaks’ of Ingleborough, Whernside and Pen-y-ghent form an imposing 23 mile walk, traditionally attempted over one day. If you’re not up for such a strenuous hike, they can of course be climbed separatelky, or viewed from afar. This is Yorkshire at its rawest. Formed by the river Swale, this is the northern most ‘Dale’. Of particular interest is Richmond, with its castle and pretty market square, just outside the Yprkshire Dales National Park. 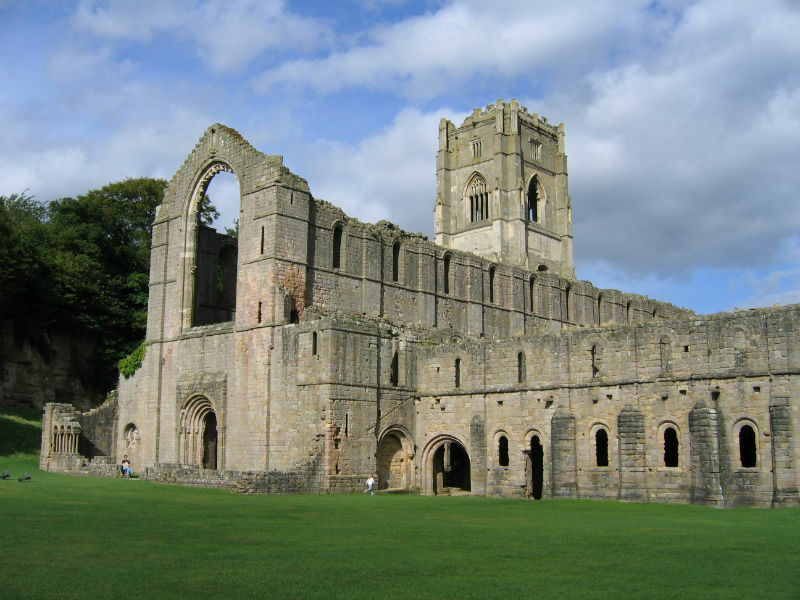 Another ruined monastery – this time a Cistercian Abbey – this is perhaps even more spectacular than Bolton Abbey. Check out the Georgian Studley water gardens too. Wensleydale will be familiar to those of you who like cheese: the eponymous cheese made here is famous the world over. However that’s not the only thing this pretty Dale has to offer. Nestled in the valley, by the River Ure, are several quintessential Dales villages such as Askrigg and Hawes to explore. 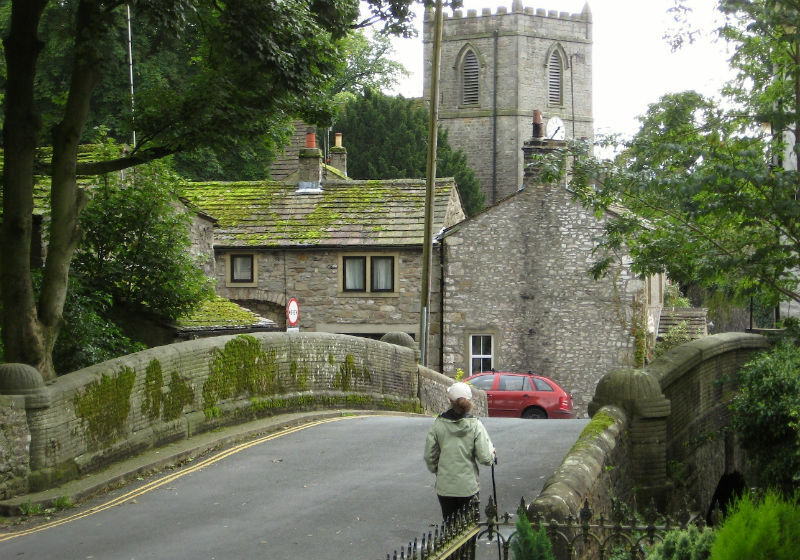 Pateley Bridge is a largish village in Nidderdale that’s a great base to explore the surrounding area. The Editor is a little biased on this (he spent many happy childhood hours there) but it is one of the best of the potential Dales bases. 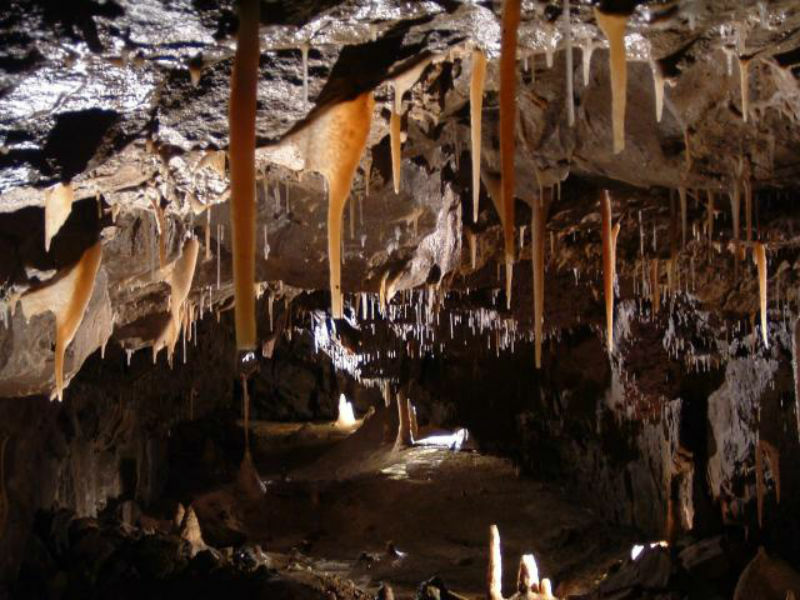 Stump Cross Caverns, near Pateley Bridge are another result of limestone in the area. As we have seen it is more easily eroded – often by water. This water runs into the groundwater systems, leaving Calcium deposits were drips started and ended. The resultant stalactites and stalagmites form beautiful formations such as these at Stump Cross. The Ribble Head viaduct is a work of Engineering genius. 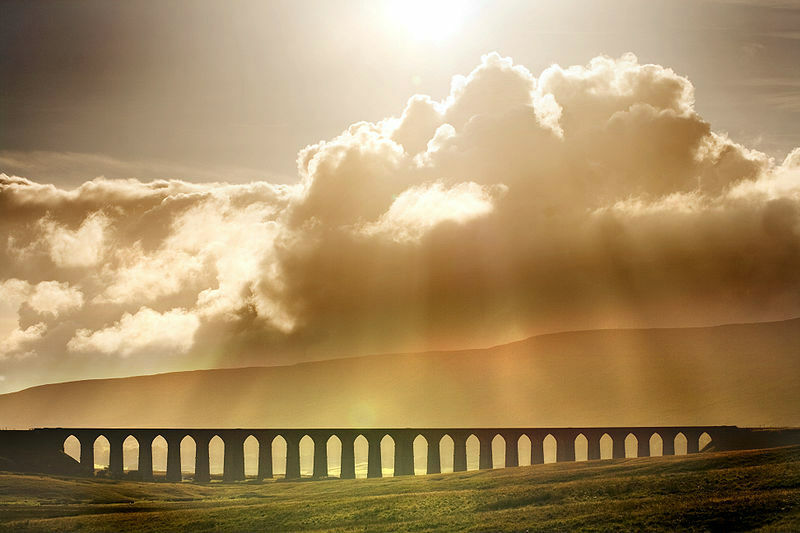 Part of the Settle to Carlisle railway it crosses some of the wildest areas in England. It’s stunning to either be a train passenger or to see it from afar.